These Homeowners Document folders are fully customizable. They are available in a 2" or 4" expansion to accommodate all the important documents new homeowners will keep for years. 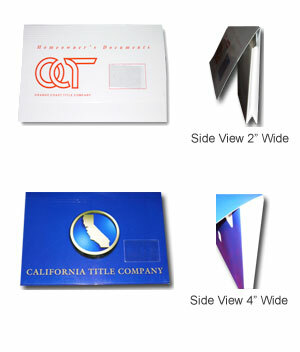 These folders safely and securely store important documents. Keep your company name in front of customers for years to come!